The Nintendo Wii is seeing a sharp decline in Western developer support, according to the 2009-2010 Game Developer Research report. The survey, hosting 55 questions and a sampling of 814 respondents, was tailored towards Western developers and their developing trends. 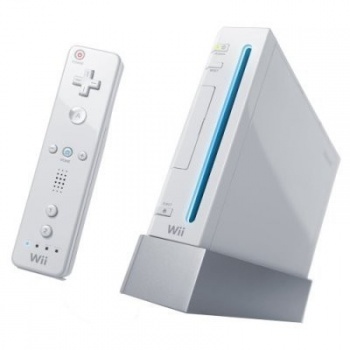 The Wii suffered in the recent year, with the percentage of console developer support falling from 42 percent to 30 percent. Properties that saw a surge were the iPhone and other mobile devices. The last survey indicated developer support for mobile platforms was at 12 percent, recent figures indicate it has risen to 25 percent, effectively doubling the developer support. The divide between PC and console developers remained steady. Over 70 percent of developers said they were developing at least one game for PC or Macintosh platforms (the survey included both browser and social network-based games in the survey), and 41 percent of developers were working on console games. The Xbox 360 is leading the console pack at 69 percent of console developers, while the PlayStation 3 is trailing close behind at 61 percent of console developers. What's causing the current trends? Mostly, respondents said, ease of development and market penetration. "Like any other medium of entertainment, video game development is subject to change with the ebb and flow of the economy and any hot new trends, and this year's survey continues to reflect this evolution," Global Brand Director of Think Services Game Group Simon Carless said. So what does this mean for the industry as a whole? For the most part, developers are looking towards mediums they can develop high-grossing games for with minimal cost. In the current economic climate and with heavy layoffs hitting a number of industry giants, developers have actually been breaking off and forming smaller studios. This trend is also linked to the increase in the development for mobile platforms, which have the potential to reach wide audiences for lower development costs. Likewise, as the Wii's market appeal appears to be lessening, some developers have pulled back, looking for consoles with stable fanbases.